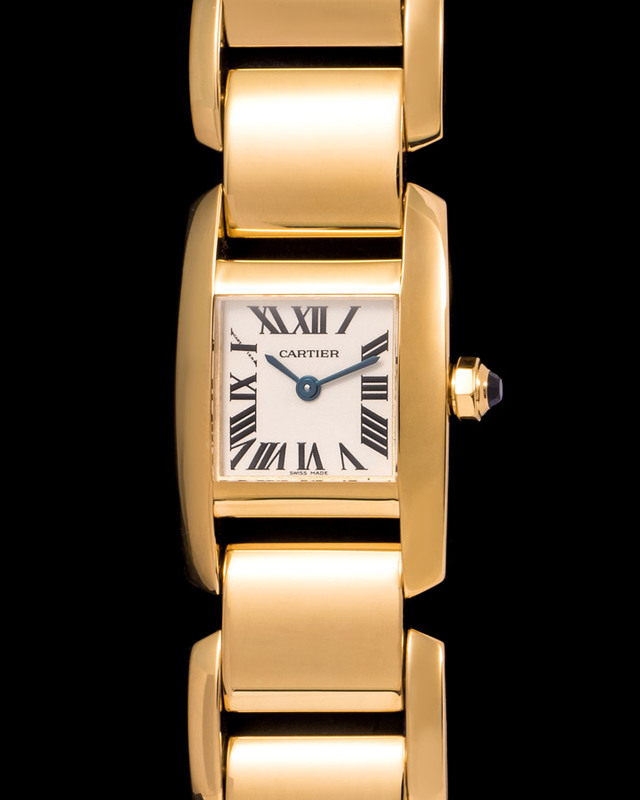 Cartier Tank Americaine Midsize 18K White Gold Watch ref.3012905 000105 Original Cartier quartz movement, Original Cartier 18K white gold case 23.0 x 41.0 mm. 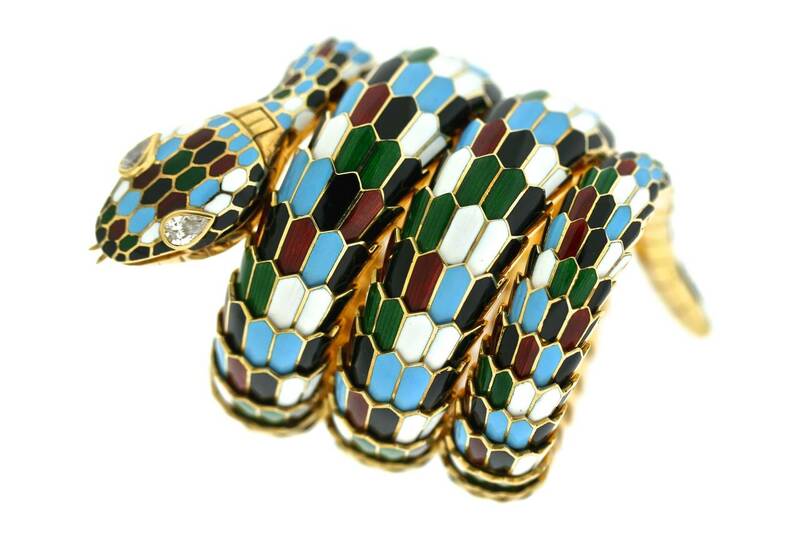 Circular grained crown set with faceted blue spinel. 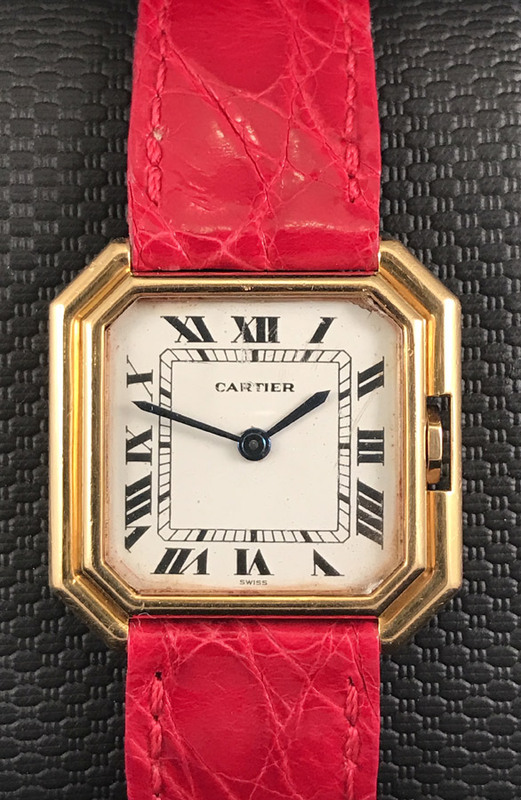 Original Cartier silvered grained dial with black roman numerals. 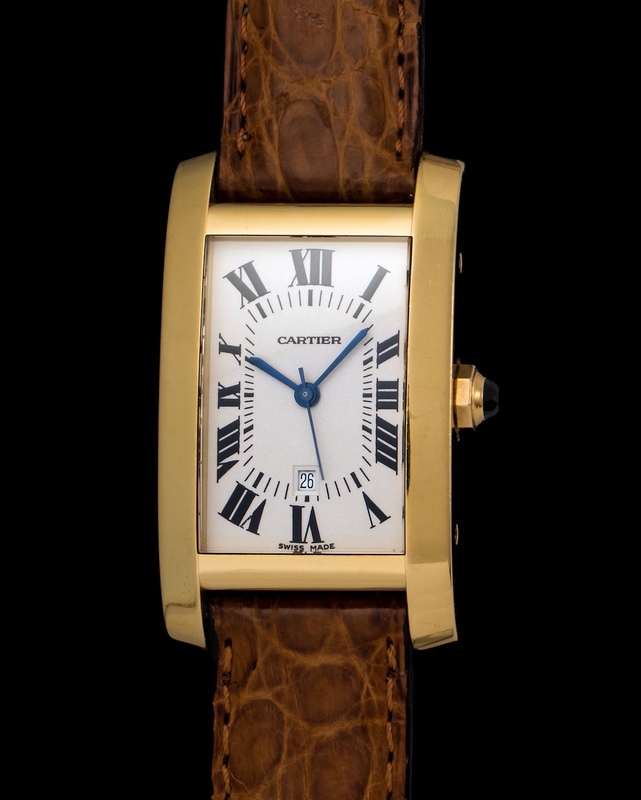 Bracelet: Original Cartier brown leather strap with the original Cartier 18K white gold deployent buckle. 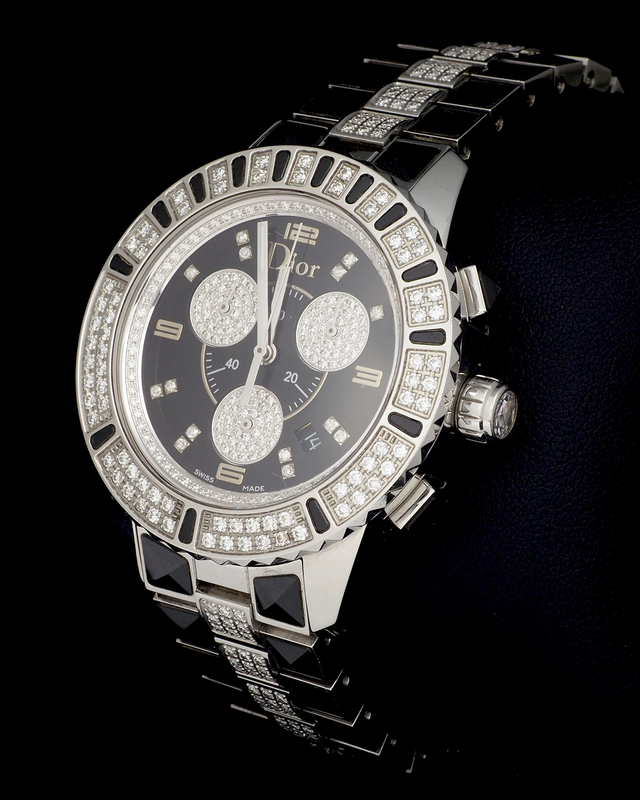 Cool and appealing Dior chronograph cased in steel with diamond and onyx stones on the bracelet and bezel. 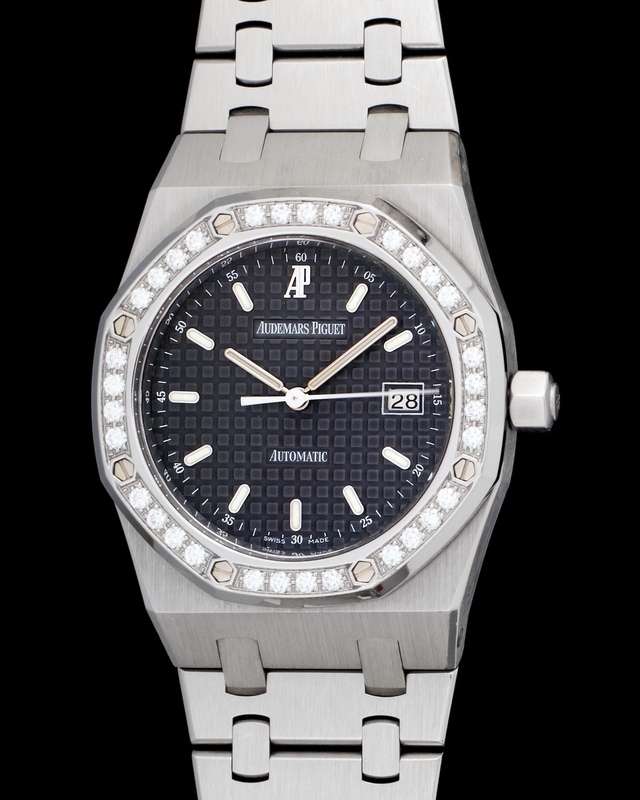 Furthermore is fitted with a diamond index dial. 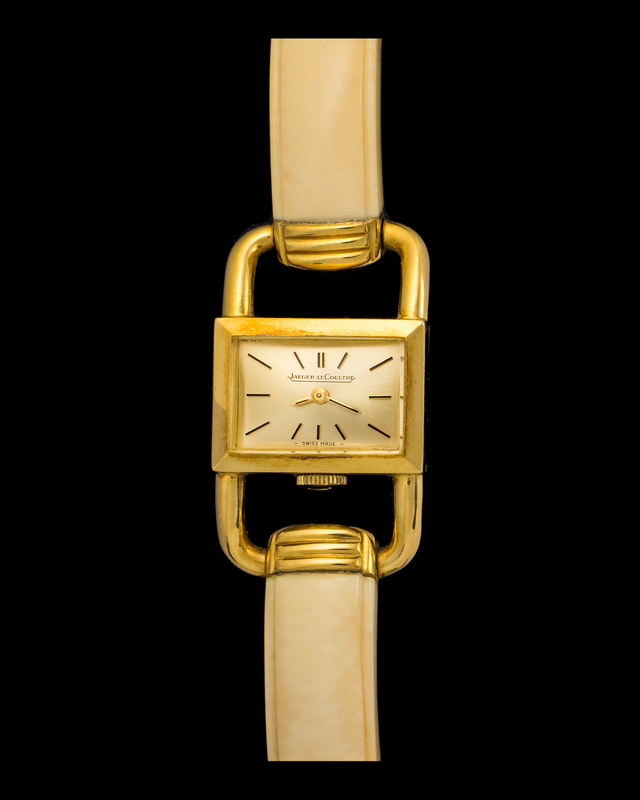 This watch is powered by a quartz movement that is working without problem. 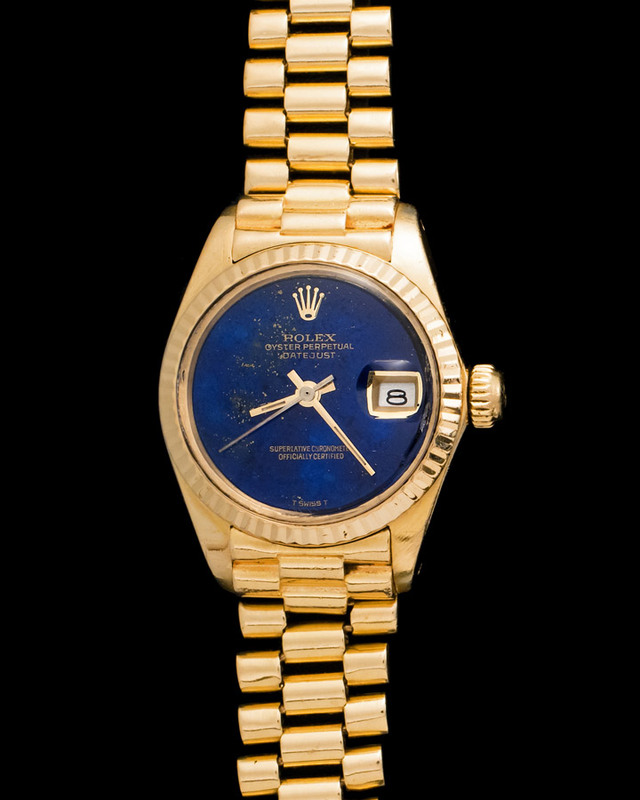 The case size of the watch is 38mm in diameter. 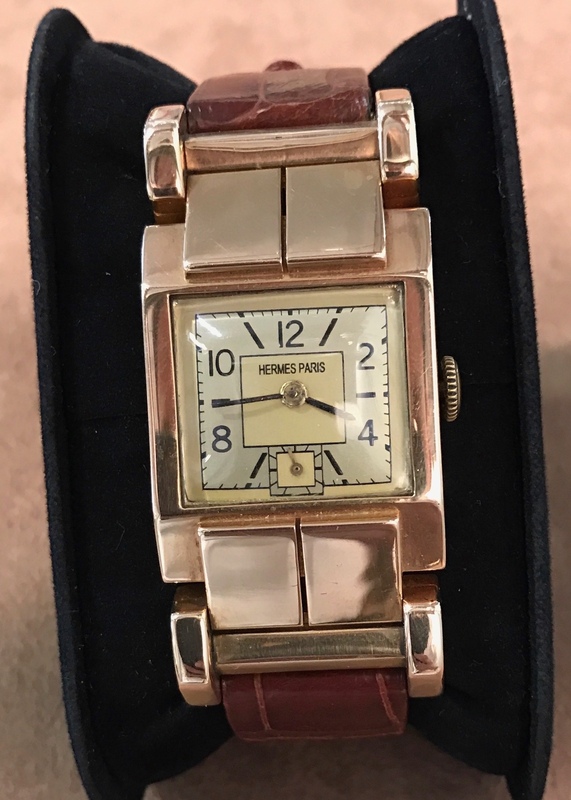 Elegant ladies Hermes Fantasy watch. 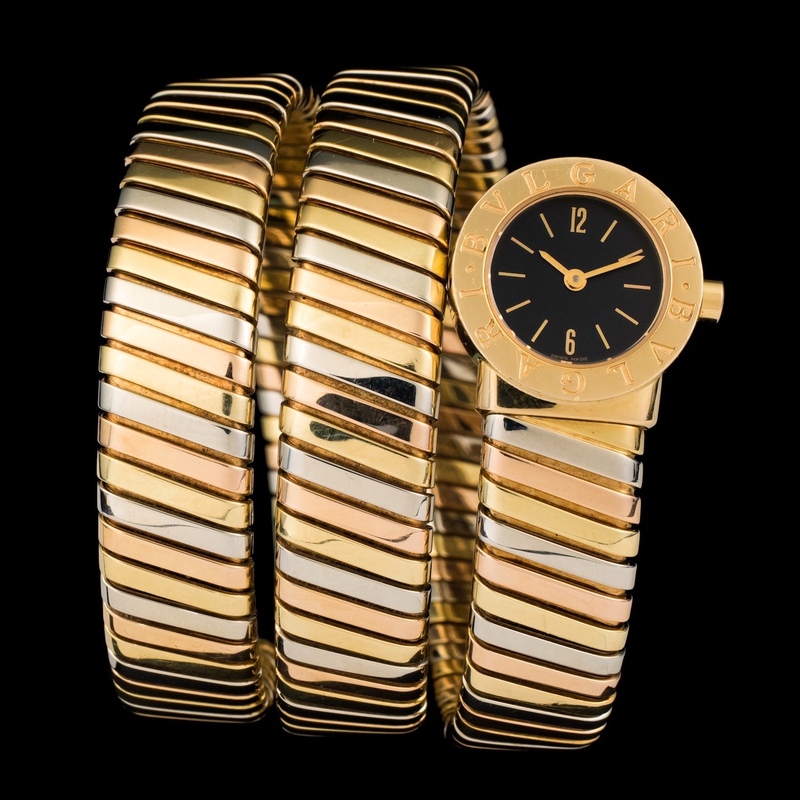 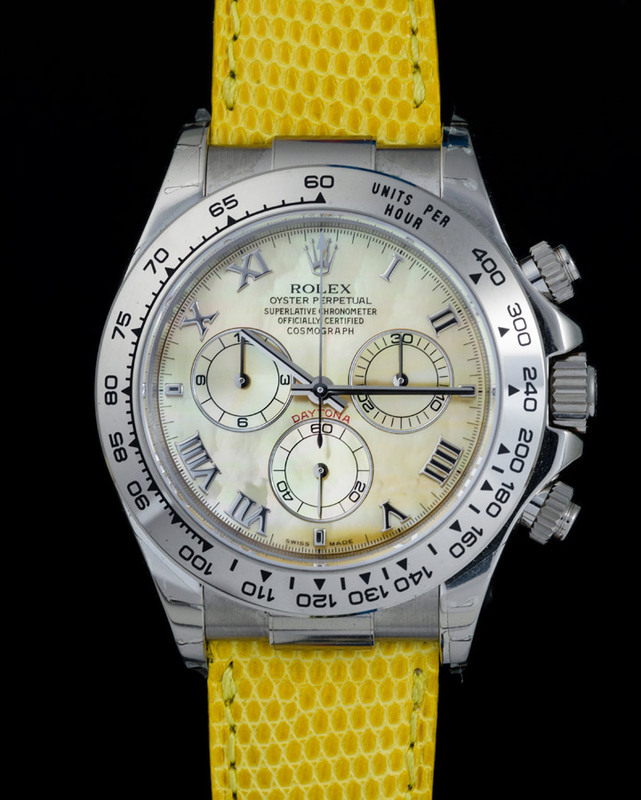 Manufactured in the 1950’s and cased in an 18k yellow gold case. 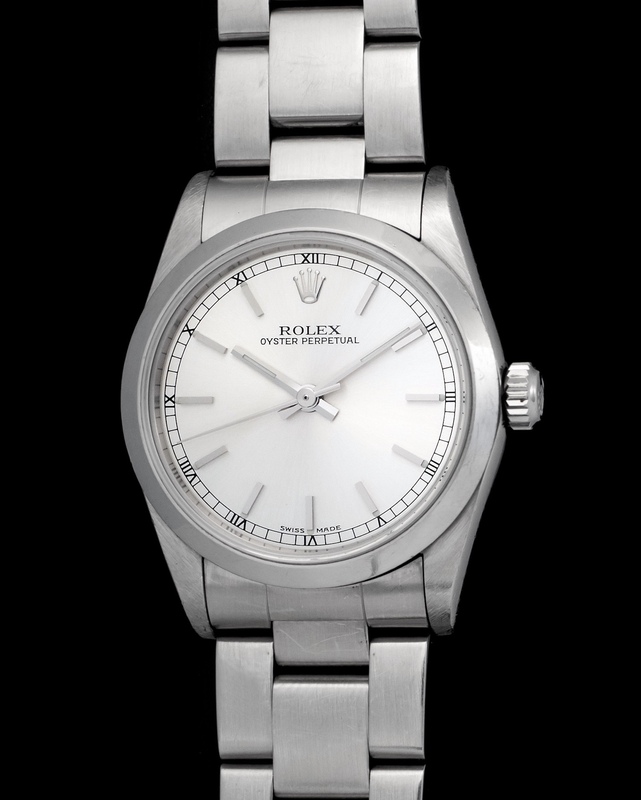 The watch measures and approximate 25mm in diameter, while the movement is a manual wound caliber. 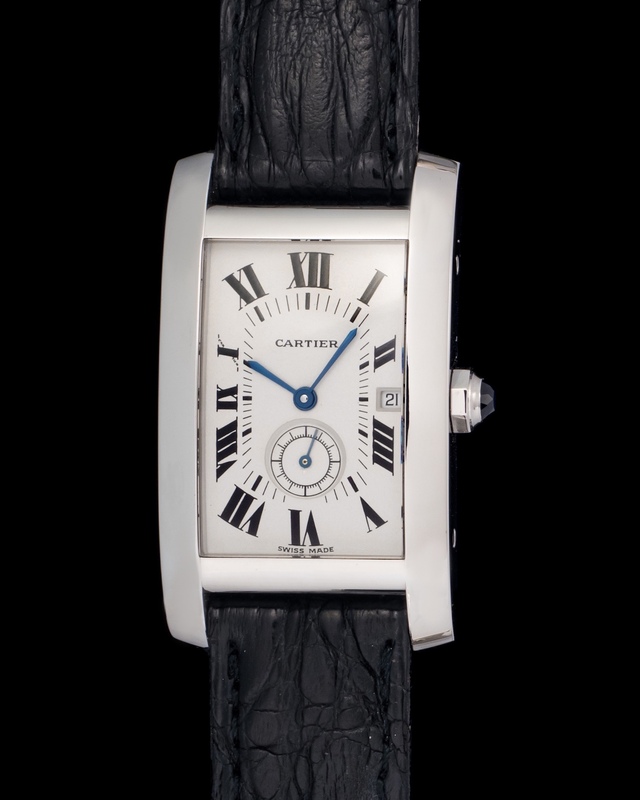 The most striking feature about this watch is its two-tone dial with large Arabic numerals and small seconds counter. 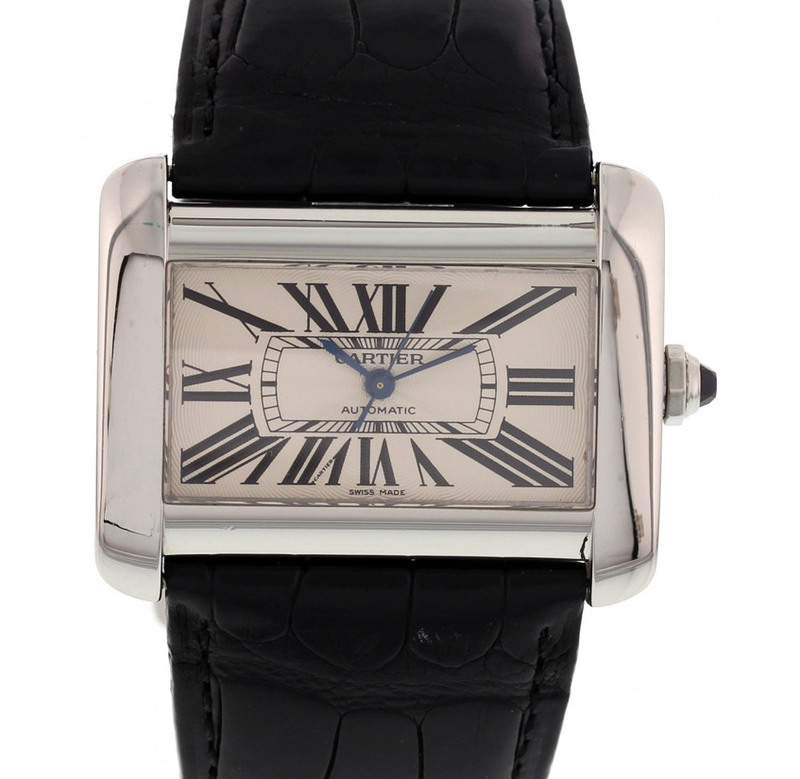 Tank Américaine watch, , mechanical movement with automatic winding. 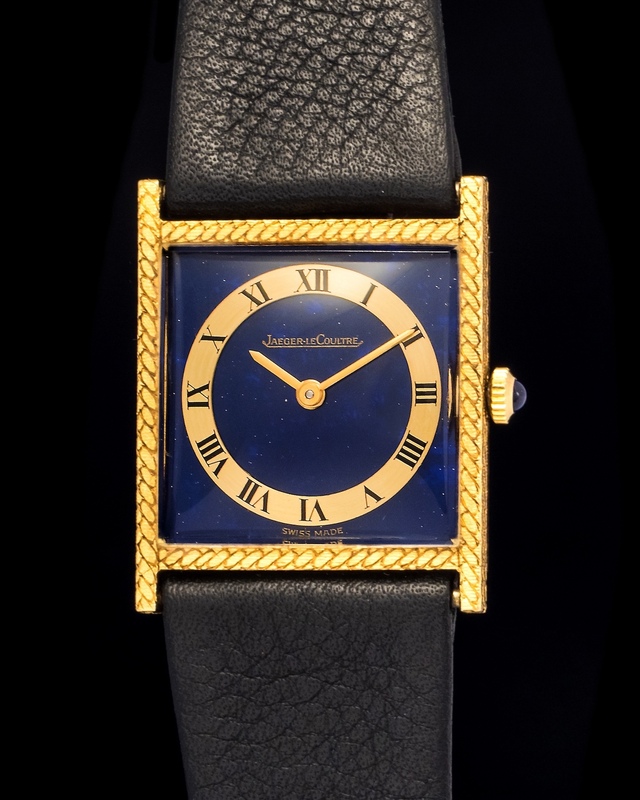 18K Yellow gold case, 8-sided crown set with a faceted sapphire, silvered flinqué dial, blued-steel sword-shaped hands, mineral crystal, alligator-skin strap with 18K Yellow gold ardillon buckle, calendar aperture at 6 o'clock. 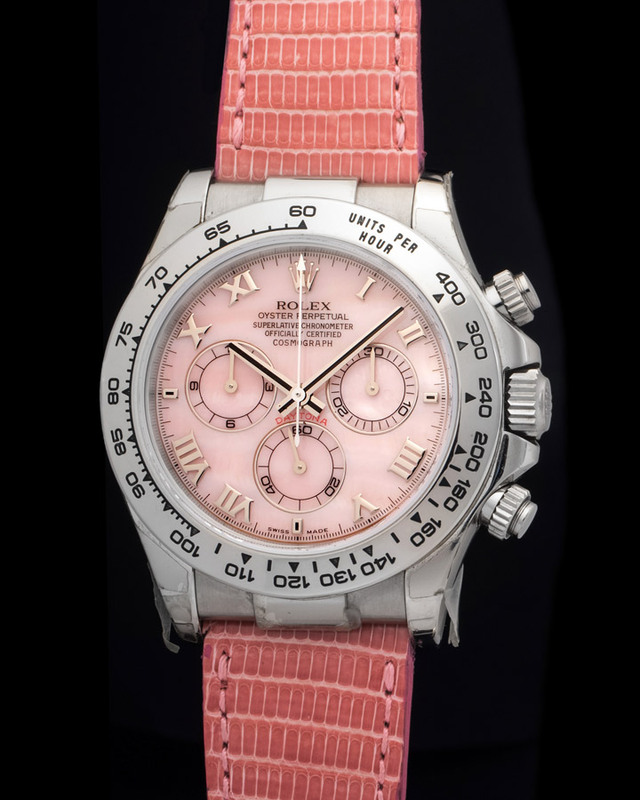 A ladies Submariner that is just as cool as a men's Submariner. 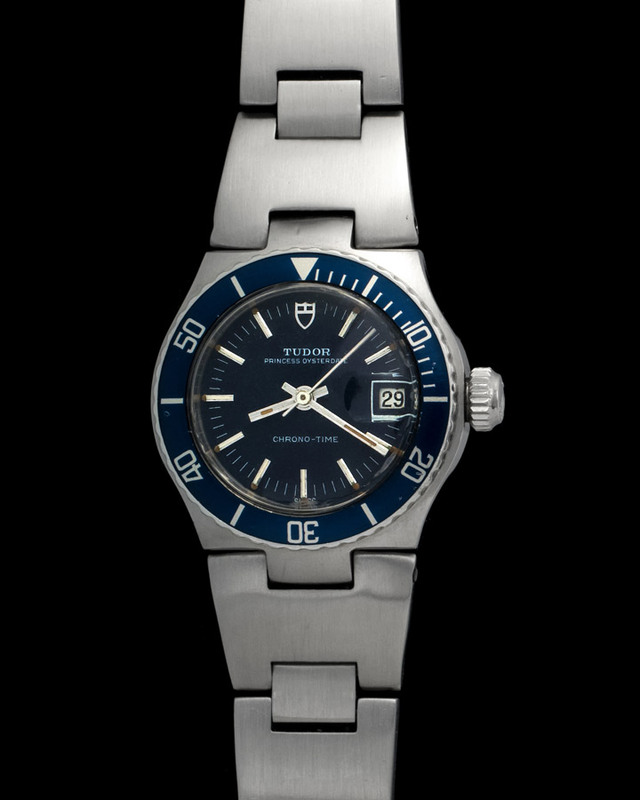 This charming Tudor is powered by an automatic caliber housed within a steel case that is sealed by a small crown. 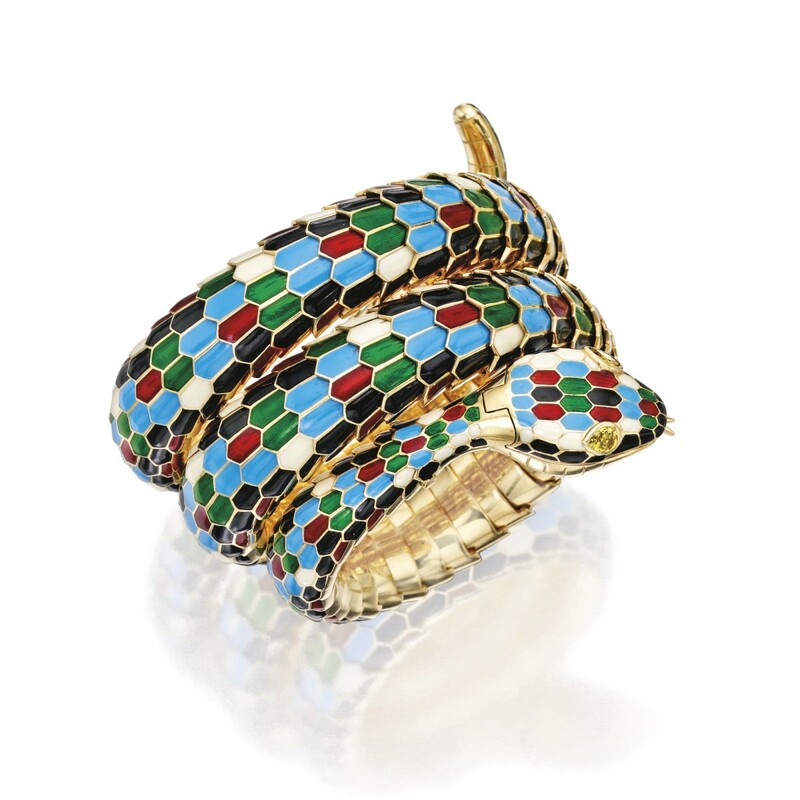 Put together by a steel bracelet. 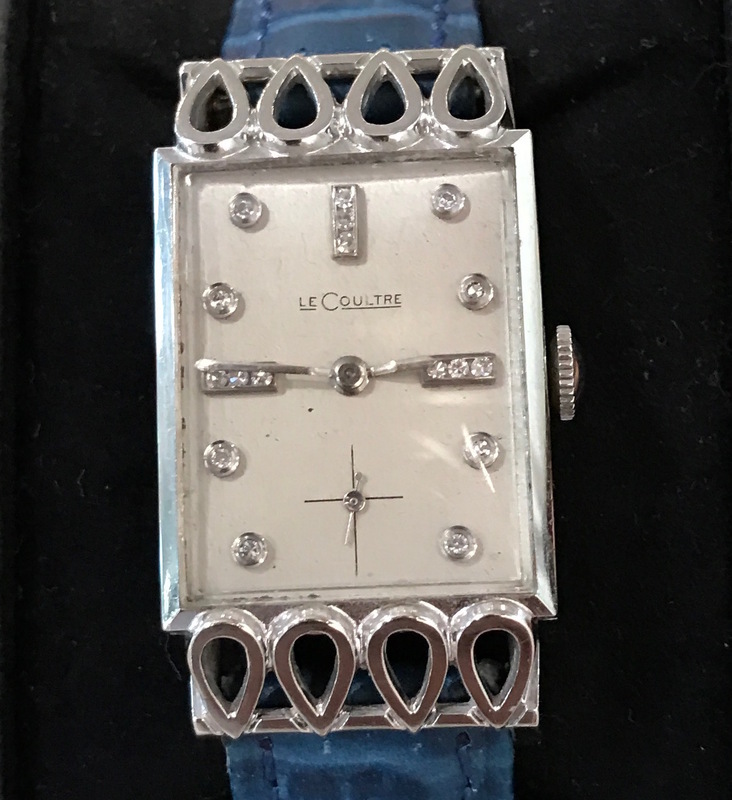 Beautiful and elegant 1940’s lady LeCoultre solo tempo watch. 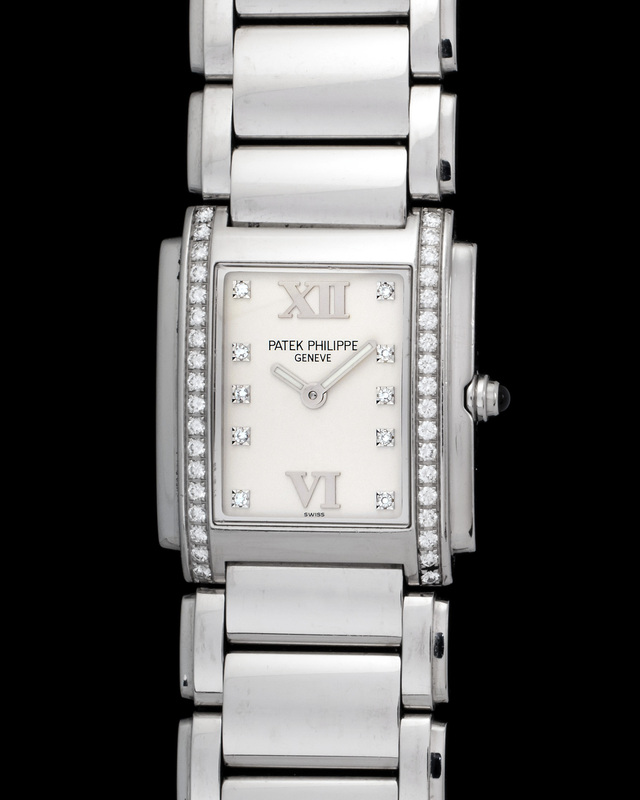 Adorned with a diamond encrusted dial and an intricately finished rectangular steel case. 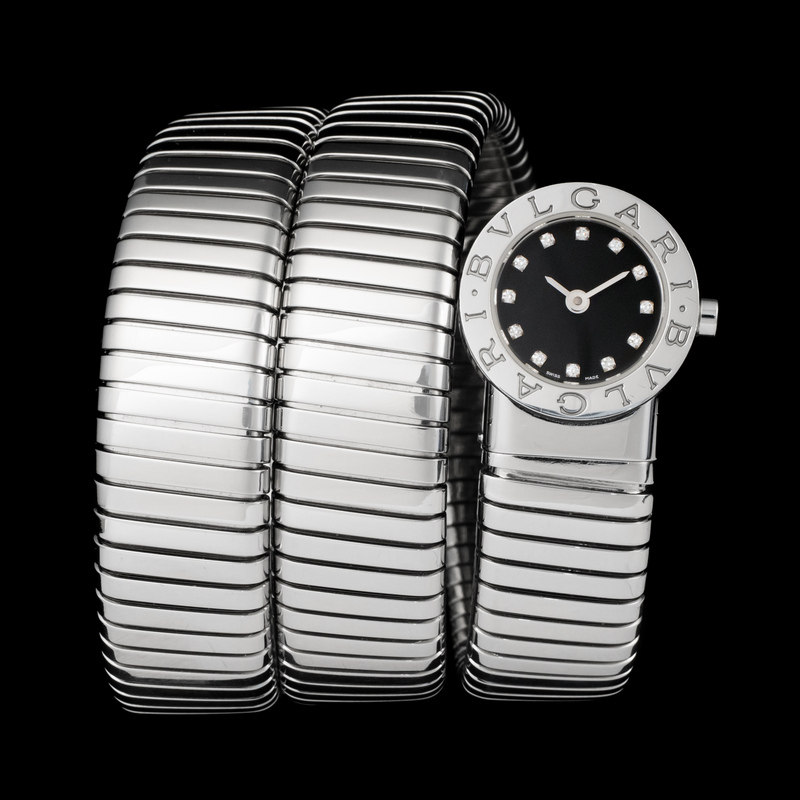 The overall size of this watch is small the width of the case is of 20mm, approximately. 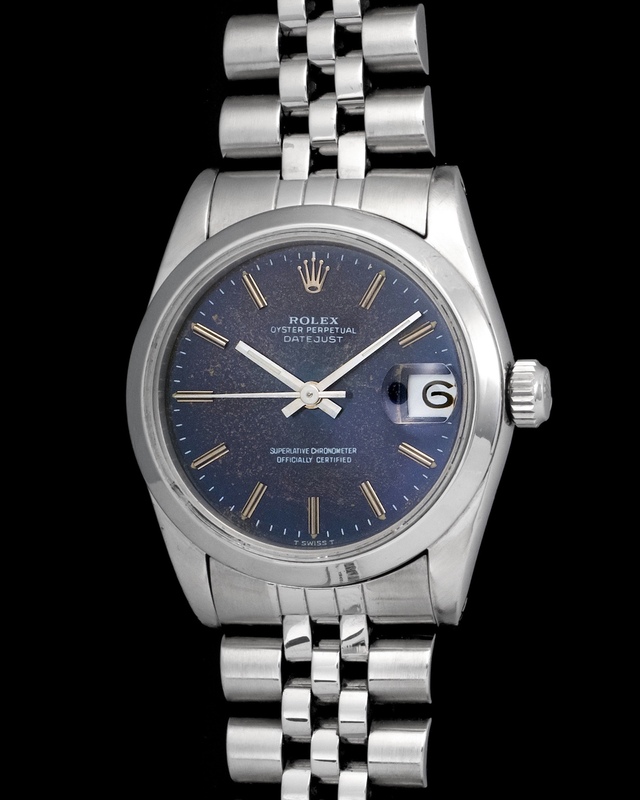 The watch works perfectly and was recently outfitted with a new blue leather strap.